The Hartford Yard Goats (39-38) blasted a pair of home runs and rolled behind a superb start from Rockies No 5 prospect Peter Lambert to take the series finale over the Flying Squirrels (39-38) 4-1 on Thursday evening at Dunkin Donuts Park. Richmond dropped three of four games in the series and will continue their nine-game road trip in Harrisburg on Friday. 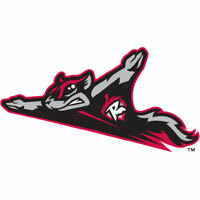 The Flying Squirrels will return to The Diamond on Wednesday, July 4 for an Independence Day weekend celebration. Lambert (8-2) moved through the Squirrels order and at one point retired 13 consecutive batters to earn the win. Goats closer Matt Pierpont worked the ninth to record his league-leading 21st save of the year. Jonah Arenado put the Squirrels on the board first with a RBI single in the second inning. Jerry Sands opened the inning by grounding a single into right field. A groundout moved Davis to second and then Arenado floated a bloop fly into shallow right field for a 1-0 Richmond lead. Richmond welcomed back Case Johnson from the disabled list for his eighth start of the season. Johnson had been working his way back from Tommy John Surgery and overcame a scary moment on June 15 when he was hit in the head with a line drive while in the dugout. Johnson’s return was almost flawless. The righty tossed three innings and needed just 37 pitches in the outing. He struck out two and did not walk a batter. Lefty Garrett Williams replaced Johnson to start the bottom of the fourth. The ‘Goats grabbed the lead of Williams with a pair of runs in the fourth. Brian Mundell reached on a one-out single, setting up Sam Hilliard’s sixth home run of the season. Hilliard blasted a two-run shot over the 40-foot high wall in right field, placing Hartford ahead, 2-1. Williams finished the inning for Richmond in what was his only frame of the night. The lefty suffered the loss for Richmond. Hartford’s Lambert picked up the paces after the second. The Rockies NO. 5 prospect retired the side in order in the third, fourth fifth and sixth. CJ Hinojosa opened the seventh with a base hit to momentarily disrupt Lambert’s stretch. He finished the inning and his outing with a pair of strikeouts, his eighth and ninth of the night. Overall Lambert tossed seven innings and allowed the one run on three hits. He walked one and struck out a Double-A best nine batters. Overton replaced Williams in the fifth and retired the side in order before running into trouble in the sixth inning. Roberto Ramos blasted a deep, solo home run off the top of the advertisement banners in right for a 3-1 lead. Nelson Molina add an RBI single, bringing home Hilliard who reached on a fielder’s choice and took second with a steal. Hilliard scored twice in the contest. The Flying Squirrels continue their nine-game road trip – the longest off the year- with game one of five in Harrisburg on Friday at 7 p.m. RHP Jake McCasland (2-1, 3.65) makes the start for Richmond against Senators RHP Sterling Sharp (1-0, 0.00). The Flying Squirrels will return to The Diamond on Wednesday, July 4 for an Independence Day celebration. Tickets can be purchased online over the phone by calling 804-359-3866 (FUNN).